It’s only natural to want the best for your baby. 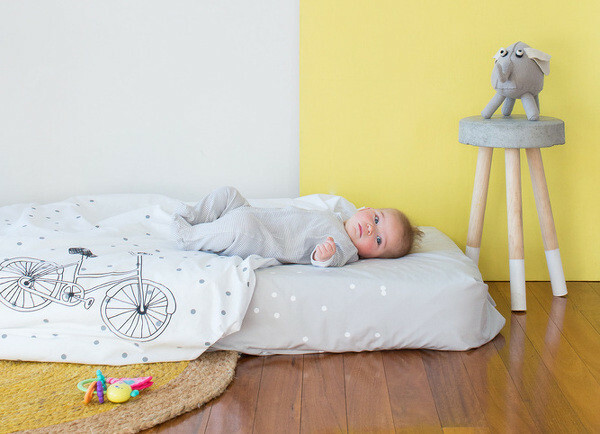 For more and more parents, the best doesn’t mean a nursery filled with over-the-top-expensive designer baby gear, but eco-friendly options that are as kind on the planet (and the eye) as they are on your newborn. But where to start? We’re coming to the rescue with a list of some of the most beautiful natural and organic nursery products to create an all-natural oasis of calm for your bub. It’s actually easier than you might think to build a natural nursery, with ‘eco-friendly’ the buzz right now. That means there’s no need to sacrifice style in your quest to keep things natural and organic for baby because many of our favourite eco-friendly brands are among the most beautiful too. Keep on reading and we’ll show you what we mean. But first, here’s a quick rundown of what to keep in mind when planning your nursery. Natural fibres are important, but some are better than others. Organic cotton is grown without pesticides, chemicals or fertilisers – all of which can irritate a baby’s sensitive skin. Conventional cotton may be cheaper, but the environmental impacts are huge. Choose the most natural, sustainable wood and fibres to create less of an impact on the earth and keep your child’s first years free of chemicals, pesticides and plastics, which may cause allergies or respiratory problems. 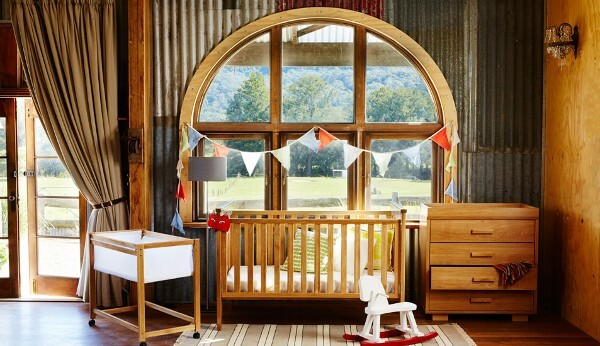 Australian owned and operated Tasman Eco has a simple rule for its nursery furniture – all wood used must be from a renewable resource. The cots easily convert into a junior bed or chaise lounge, which means your family will enjoy it for years and years. Made from plantation timber and sourced from sustainable forests, all stains and finishes are non-toxic and lead free – so there’s no need to fret if baby starts gnawing on the cot bars! And we can just about guarantee they will. The Fawn Crib and Bassinet System from Oeuf grows with your child. 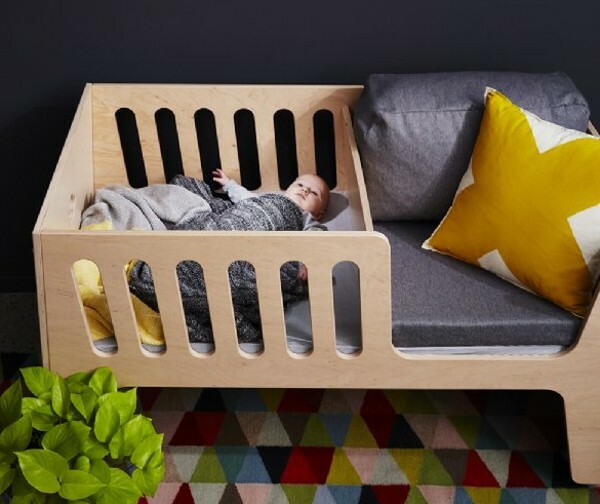 It starts as a bassinet, can be converted into a cot and finally into a toddler bed. Made from sustainably grown European birch, this baby bed is very eco-friendly – even the packaging is made from recycled cardboard. All the finishes are non-toxic and water-based. Which, again, you’ll appreciate when baby starts teething! 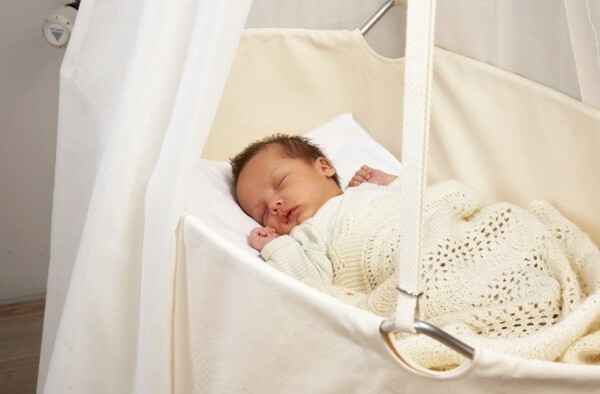 It’s also hard to go past the restful Leander Cradle for its natural swinging motion and beautiful non-dyed fabric canopy made of allergy-tested cotton. Go dotty for the spots and sketchy line drawings on organic and sustainably produced fabric and see why Melbourne’s Feliz is the big thing in bed linen. The simply sweet designs are lovingly hand screen printed using water based inks. You’ve got the cot, now for somewhere soft for baby to lay their head. 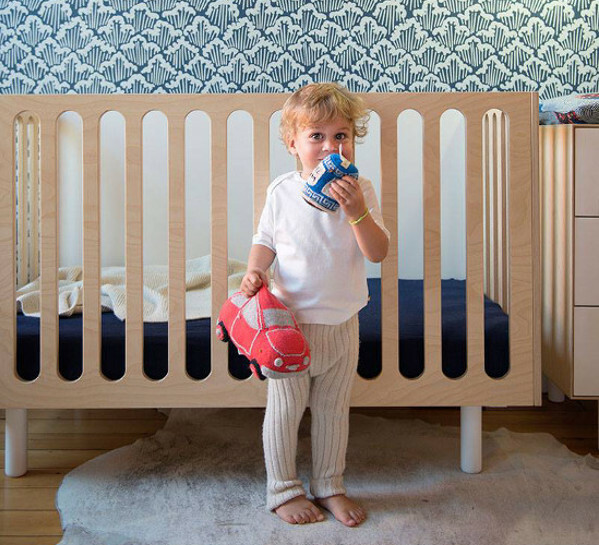 Tetra organic baby mattresses are filled with naught but Australian tea tree paperbark flakes, which are a natural and chemical-free filling so baby won’t be breathing in the off-gassing of synthetic chemical nasties. The Tetra tea tree flakes are breathable, anti-bacterial, non-allergenic and a natural insulate that stays cool in summer and warm in winter. Each mattress is handmade using organic cotton certified by GOTS. We especially like how the flakes – which are not treated with chemicals – can be put back into a garden or compost when the mattress is finished with. The Lilly & Lolly Rocky is a four-in-one piece of furniture with a long lifespan, because it adapts to the growth and needs of the child. At first it is a cradle for baby and a rocking chair for parents. As the child grows the cradle can be rotated and turns into a cot and then a child’s bed. The Rocky, made of birch plywood, makes a lot of sense economically as well as ecologically – parents who buy products which grow with the child get much longer use out of the purchased product and will need to buy less, an indirect way to reduce the amount of produced waste. Australian brand Ecolour uses breakthrough technology to make water-based paints completely free of Volatile Organic Compounds (VOCs). What that means, for the sleep-deprived parent who can’t think straight, is easier breathing for baby. And that’s all you really need to know. But we’ll also share that it’s durable and easy to apply and Ecolour can match any colour from any paint chart, meaning you’ll also get the perfect shade to fit in with your nursery’s theme. A colourful floor rug is the easiest way to give your nursery some style – but not all rugs are created equal. Rest assured the beautiful Armadillo & Co rugs embrace Fair Trade practices, are crafted from sustainable natural fibres that are allergy-friendly including pure wool, jute, cotton and hemp, and all purchases benefit schools in the weavers’ villages. Best of all, the junior collection is just right for a baby’s room, with soft, natural tones or pops of colour to give it that finishing touch. Bamboo flooring isn’t just good to look at, it’s environmentally-friendly too. Because bamboo reaches maturity significantly faster than other species, it doesn’t take decades to replenish itself, says Sustainable Earth. A hardwood floor also means less dust mites, which we don’t need to tell you is better for allergies and little noses. Toys will play a huge part in the lives of little ones and it’s probably even more important to look for a toy’s green credentials because of the amount of time toys will be in their hands and mouths. Apple Park Australia has a huge range of soft toys for tots, from cuddly friends to blocks and rattles, and all made from organic cotton, silk and fillings of natural corn fibre. The packaging too is made from recycled paper and printed with soy ink, so no need to panic when they play with the box. Yes, they’ll love the box almost as much as what’s inside. 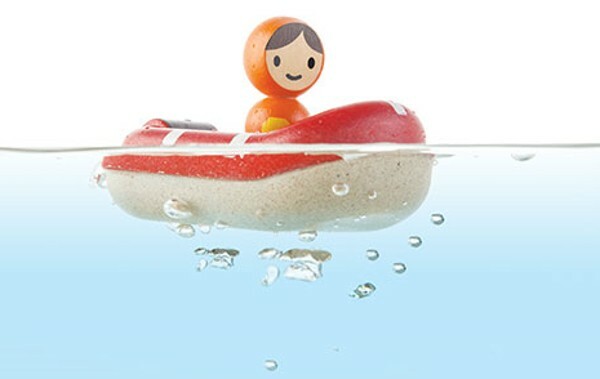 PlanToys has become a leader in green manufacturing. It’s the first toy company in the world to use natural rubberwood, recycled from rubber trees no longer needed for their latex, to produce quality wooden toys for all ages. 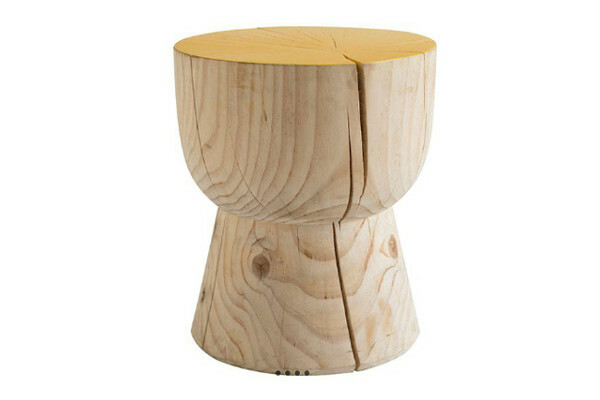 Décor that is naturally simple is the key to finding pieces that will grow with your child. The Mark Tuckey pine eggcup bedside table is the perfect height to hold a night light while they’re young and yet is stylish enough to stay beside their bed forever. 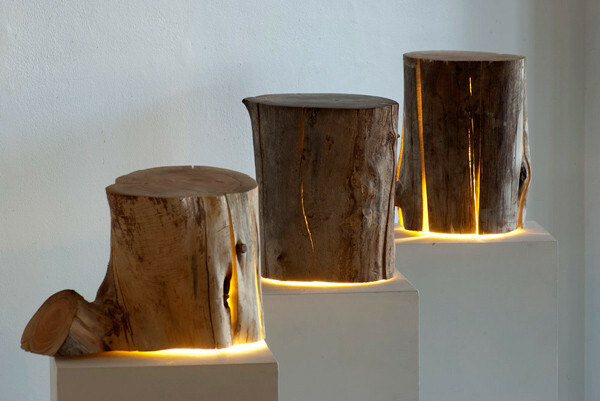 We also adore these incredible cracked log lights that we first told you about all the way back in 2013. They’re still being made by hand in Tassie, but now artisan Duncan Meerding is selling his brilliant eco-lights right around the world. 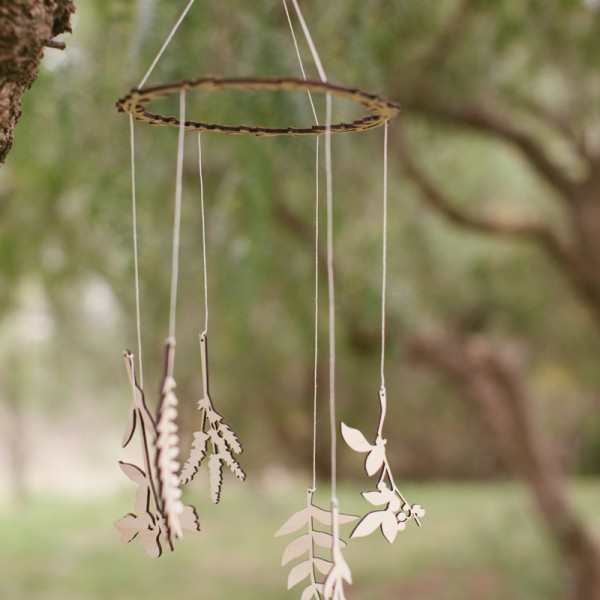 The earthy shape of the Natural Botanical Mobile is both calming and made in Australia from AFS and FSC certified hoop plywood. Paper blinds are perfect for a nursery to add a little more darkness to a room if you haven’t decided on a more permanent solution or want to hold off on deciding window treatments until your child is older. Ezy Blind paper blinds come from Forest Stewardship Council-certified suppliers, contain up to 10 per cent post consumer waste and are fully recyclable. 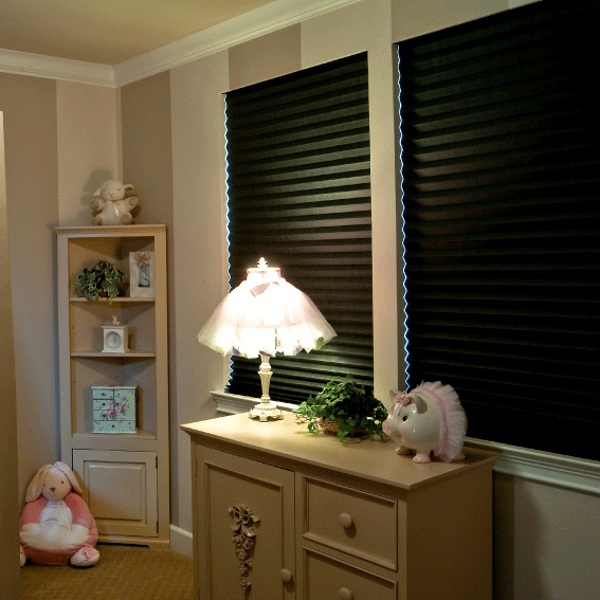 The blockout black or ‘room darkening’ chocolate blinds would help lull any bubba drift off to the land of nod. Have you put together a natural or organic nursery for baby? We’d love to see it! Do give us a peek by sending in a Show us your nursery submission.